O Living Flame of Love...How gently and how lovingly Thou wakest in my bosom, where alone thou secretly dwellest; And in Thy sweet breathing full of grace and glory how tenderly Thou fillest me with Thy love. These words, penned by St. John of the Cross in his book Living Flame of Love, capture the heart-cry of every soul for intimacy with God. For this we were created and for this we were rescued from sin and death. In Ephesians, Paul lets us in on a little secret: We've been more than noticed. God has pursued us from farther than space and longer ago than time. God has had us in mind since before the Foundations of the World. He loved us before the beginning of time, has come for us, and now calls us to journey toward him, with him, for the consummation of our love. Who am I, really? The answer to that question is found in the answer to another: What is God's heart toward me, or, how do I affect him? 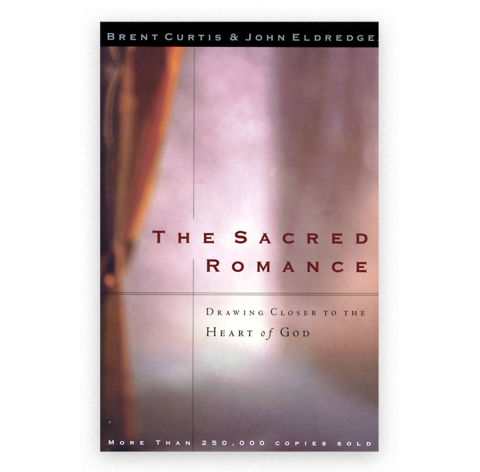 If God is the Pursuer, the Ageless Romancer, the Lover, then there has to be a Beloved, one who is the Pursued. This is our role in the story. In the end, all we've ever really wanted is to be loved. "Love comes from God," writes St. John. We don't have to get God to love us by doing something right-even loving him. "This is love: not that we loved God but that he loved us and sent his Son as an atoning sacrifice for our sins." Someone has noticed; someone has taken the initiative. There is nothing we need to do to keep it up, because his love for us is not based on what we've done, but who we are: His Beloved. "I belong to my lover, and his desire is for me" (Song 7:10).